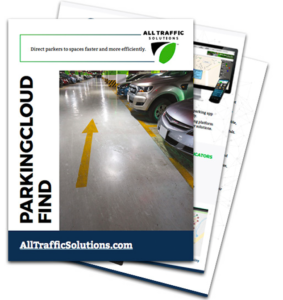 ParkingCloud Find is a smart, user-friendly, easy-to-deploy wayfinding platform that lets you communicate parking availability to drivers based on live data for maximum optimization and control over your lots, garages and on-street parking. 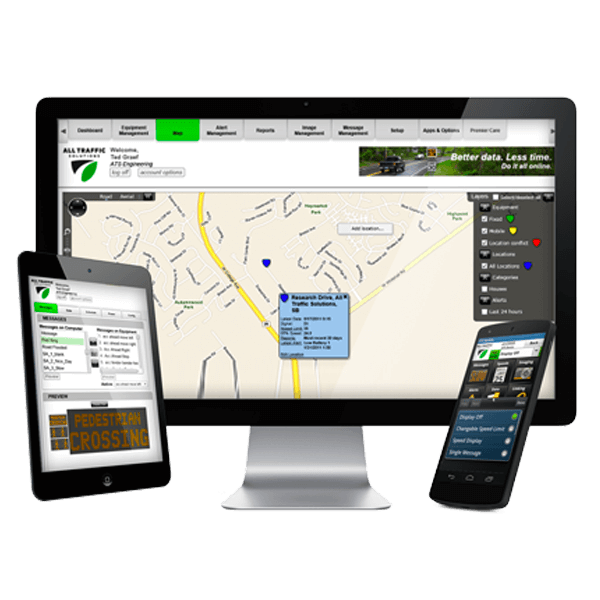 Push up-to-the-minute availability information to variable message signs, your parking app or your website to direct drivers to convenient parking faster and more efficiently. The open platform gives you near-limitless ability to integrate any kind of messaging platform with any type of device, removing the significant hurdle you could have with other solutions. Scalable, flexible, an ideal fit for existing facilities or new builds. Improve your parking experience and mitigate your risk by providing your parkers with a heads-up driving experience. With the flexibility to adapt to any garage or lot configuration, our open platform can integrate with the widest variety of sign options, and since everything is in the cloud, you can broadcast availability at the space, the level, the zone, or across town, campus or facility. 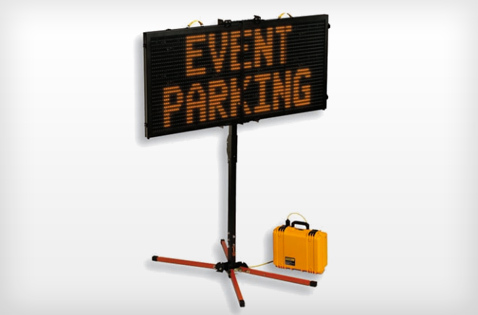 Flexible, portable sign options give you the added ability to respond to events or other high congestion circumstances, providing guidance to drivers where they need it, when they need it. 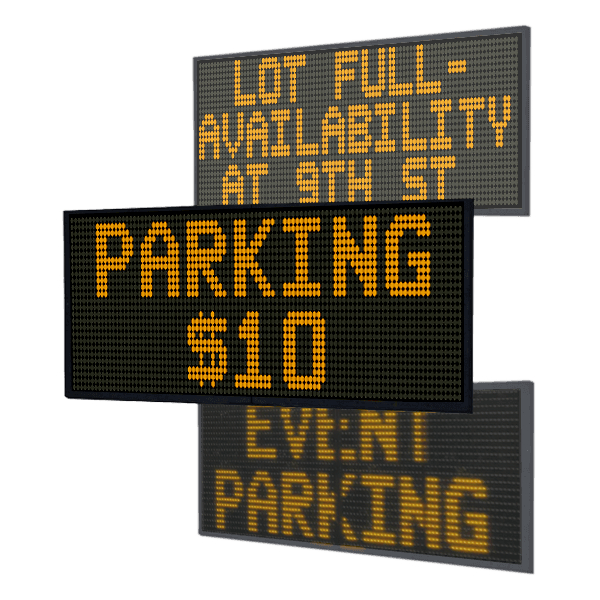 With our flexible options for signage, you can provide the widest variety of messages your drivers need for a safe, efficient, enjoyable parking experience. 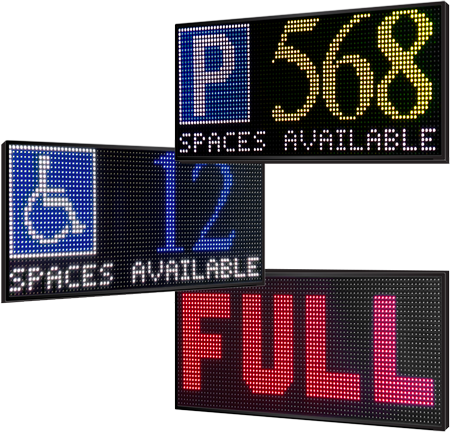 Leverage full-matrix color signs to communicate up-to-the-second data about parking space availability. Improve efficiency by displaying the time, the number of spaces available—and when applicable—pricing information. Brilliant messaging up designed specifically for outdoor viewing. 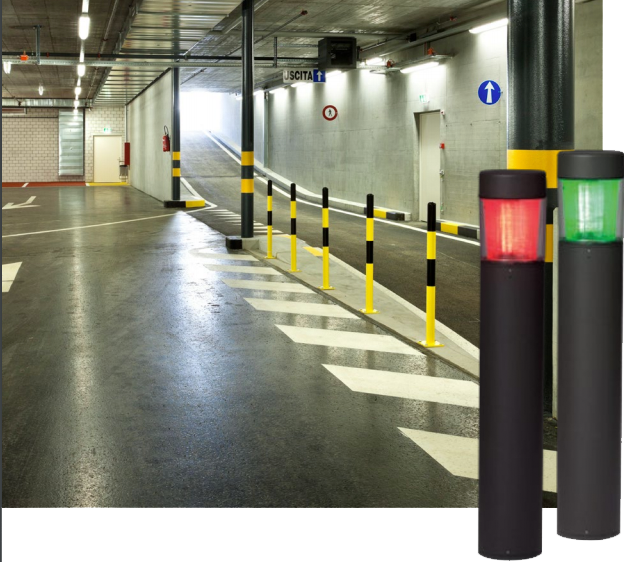 Speed up your parking process by introducing multi-level and zone guidance. 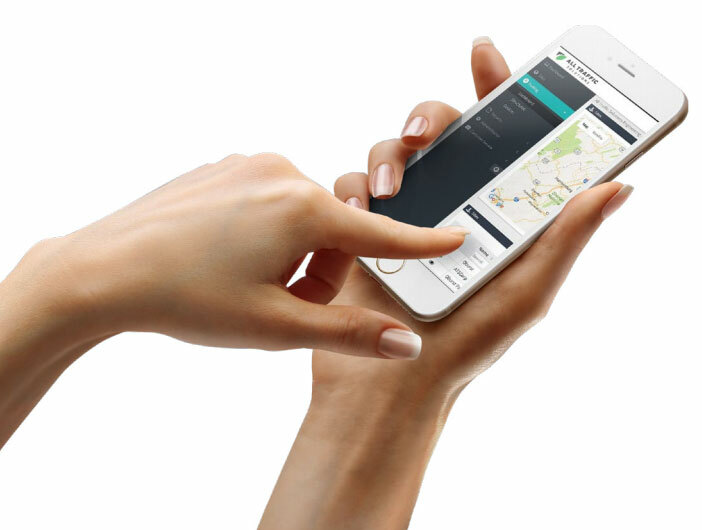 reduce circling and get students, employees and others to their destination on time, quickly. Track the number of available spaces on each deck or zone. For additional benefits to parkers, push your availability to your facility or campus application or even your website so they can determine the best parking space before they begin their journey, alleviating congestion along their route and increasing their satisfaction. ParkingCloud’s open API gives you the flexibility to build the parking system you need, fueled by real-time information and data.